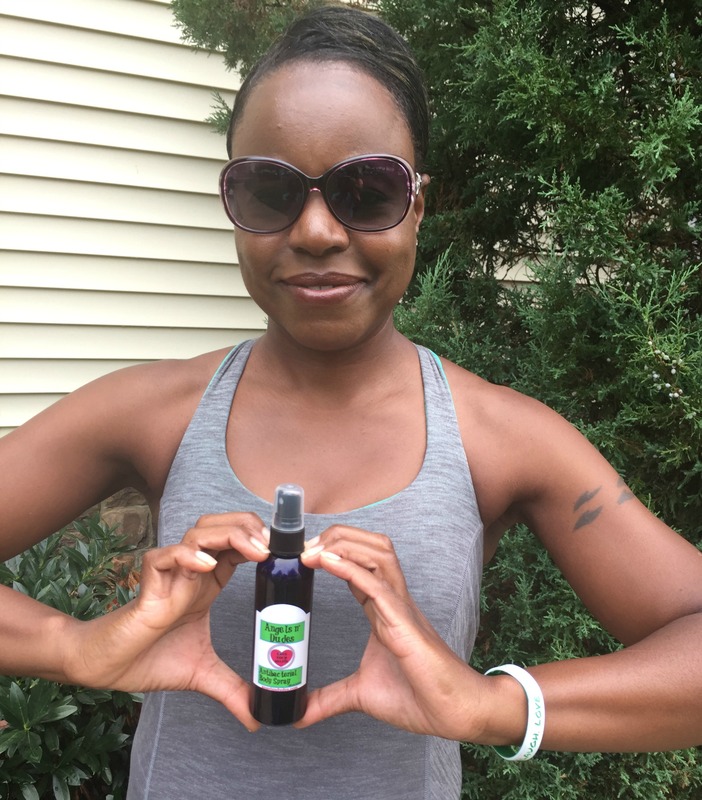 Do you love homemade beauty products that are quick, easy, and giftable? 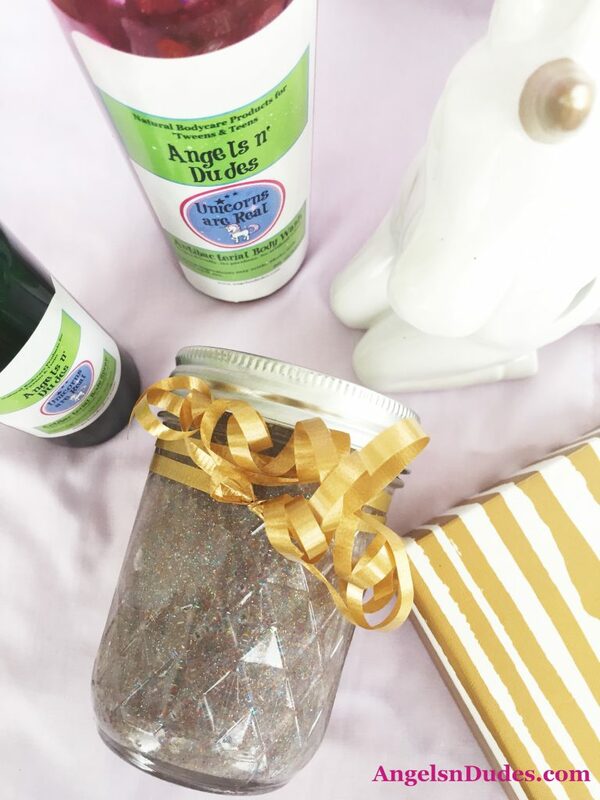 This Unicorns R Real DIY Sugar Scrub comes together in under 10 minutes AND it makes an awesome homemade gift idea for friends, family, teachers, and more! 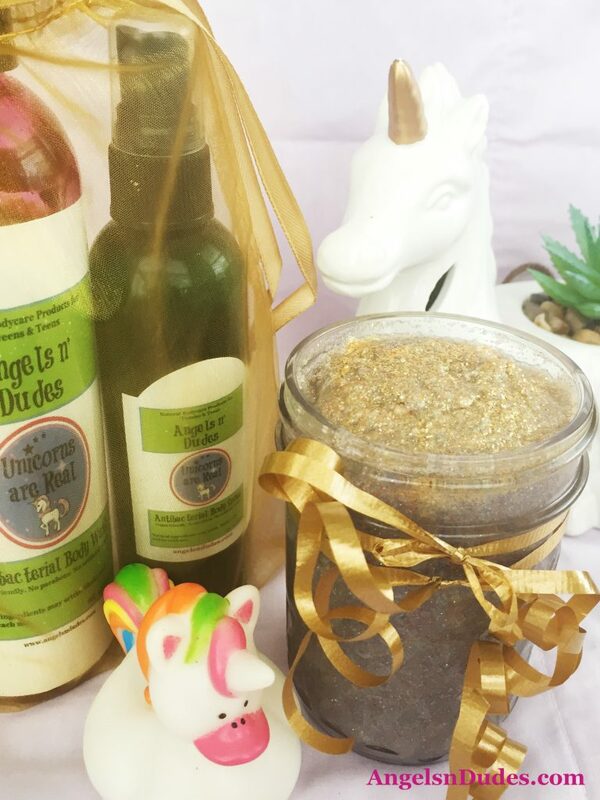 Recently my daughter had a unicorn-themed birthday party, and since I love making my own homemade body washes, body sprays, body scrubs, and body products, I whipped up a batch of sugar scrub to give as favors— Unicorns R Real DIY Sugar Scrub! The girls absolutely loved it! 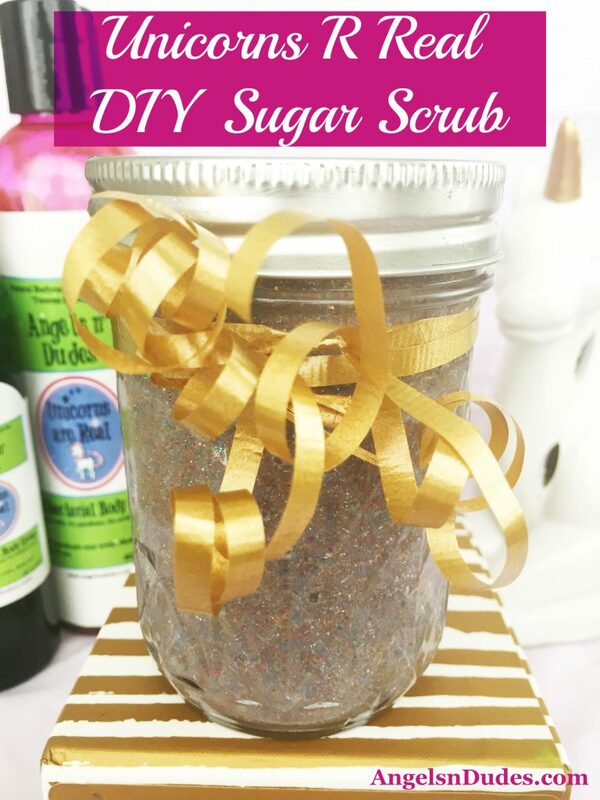 This sugar scrub is fun and cute, so sparkly and shiny, and it leaves your skin feeling smooth and soft and smelling delicious! 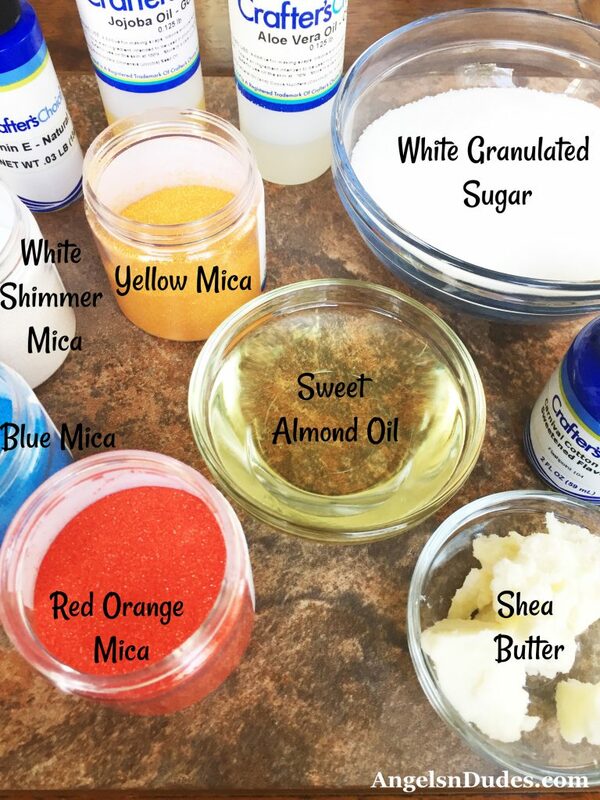 I scented this DIY sugar scrub with a subtle cotton candy fragrance oil, an airy sugary sweetness which reminds you of a rainbow of delicious treats such as sugared strawberry, sweet peach, ripe raspberry and cotton candy. And it smells sooo good! 1. In a double boiler, heat shea butter on low until melted. 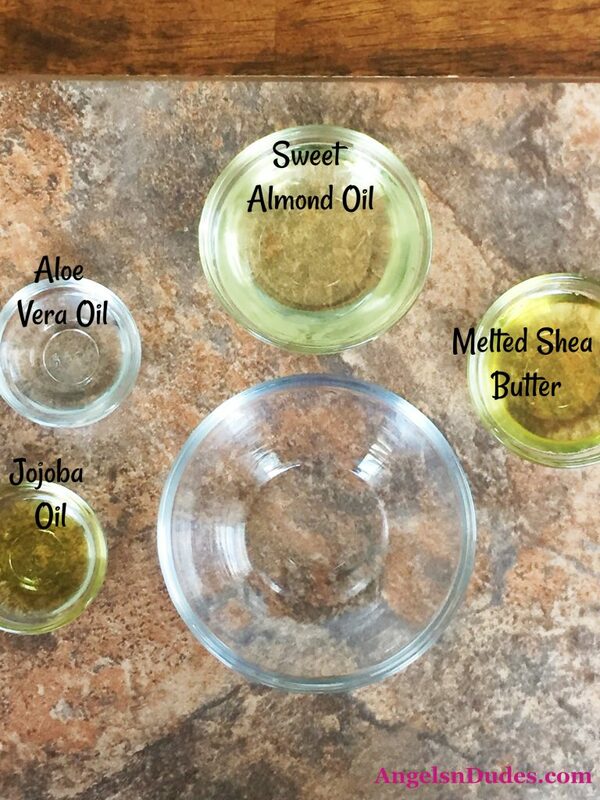 Add melted shea butter, sweet almond oil, aloe vera oil, and jojoba oil to a glass bowl. Whisk the mixture as it cools until blended. 2. 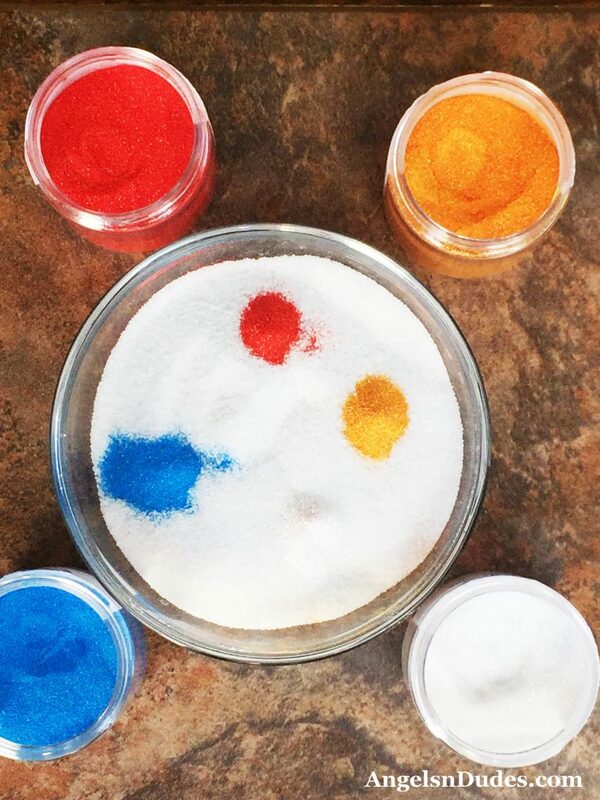 To the sugar add the blue, red orange, yellow, and shimmer white mica colorants. Stir well to fully incorporate the colors. Note: the color will be lighter at this point and will darken once you mix in the oils! You want a light pastel color so do not add too much colorant. A little goes a long way! 3. 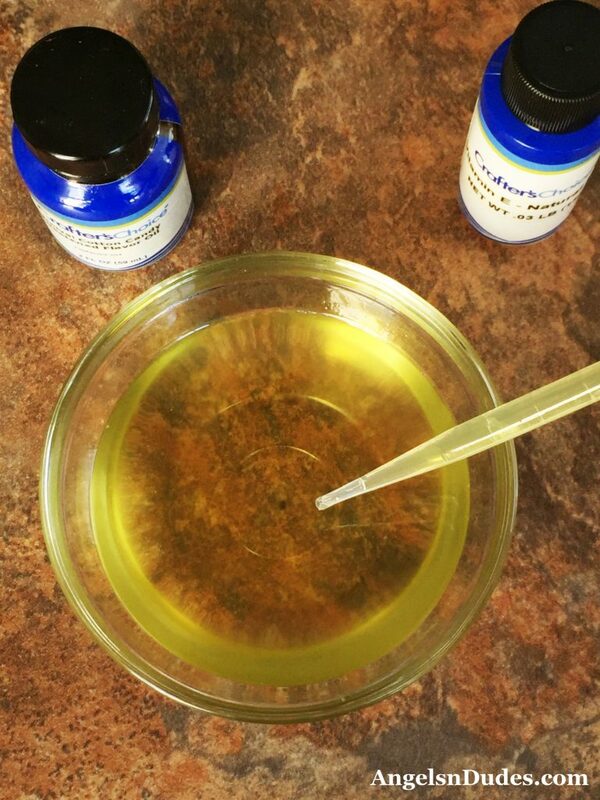 Add fragrance oil and vitamin E oil (if using) to cooled butter/oils mixture. Once again, stir well to combine. Note: If you prefer a more liquid consistency for your sugar scrub, add more sweet almond oil, a little bit at a time, until you’ve reached your desired consistency. 4. Pour melted butter/oils over sugar mixture, stirring well to fully combine the ingredients. 5. 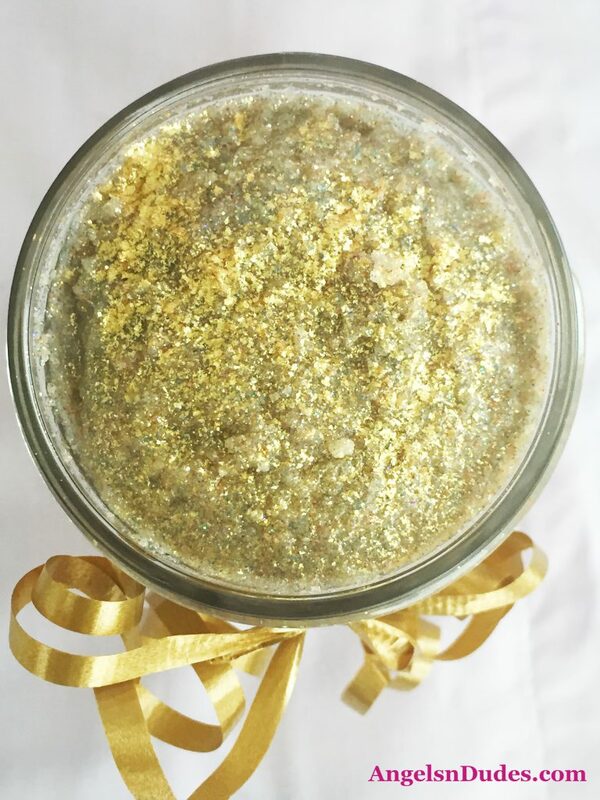 Store your scrub in a sealed container and finish with a sprinkle of gold glitter on top—SO sparkly and cute! 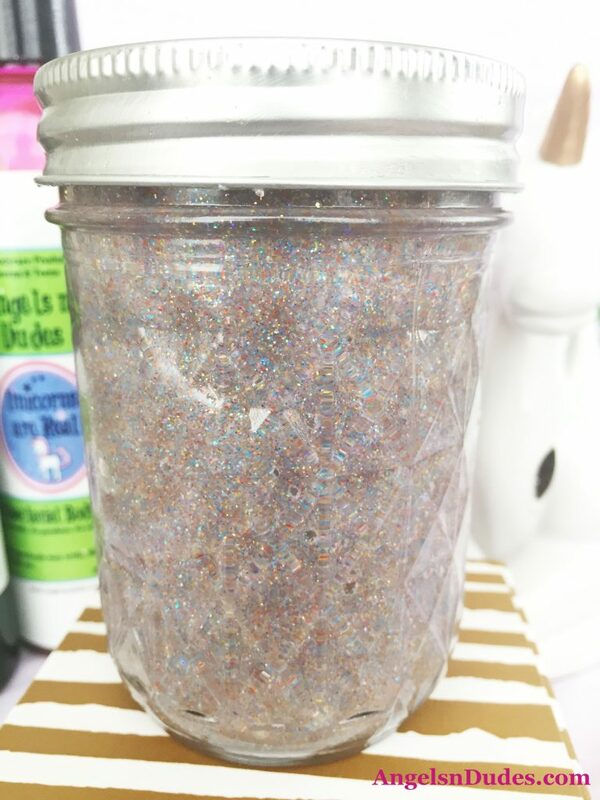 This is, without a doubt, the sparkliest sugar scrub recipe I’ve ever made! It’s so pretty and girly! 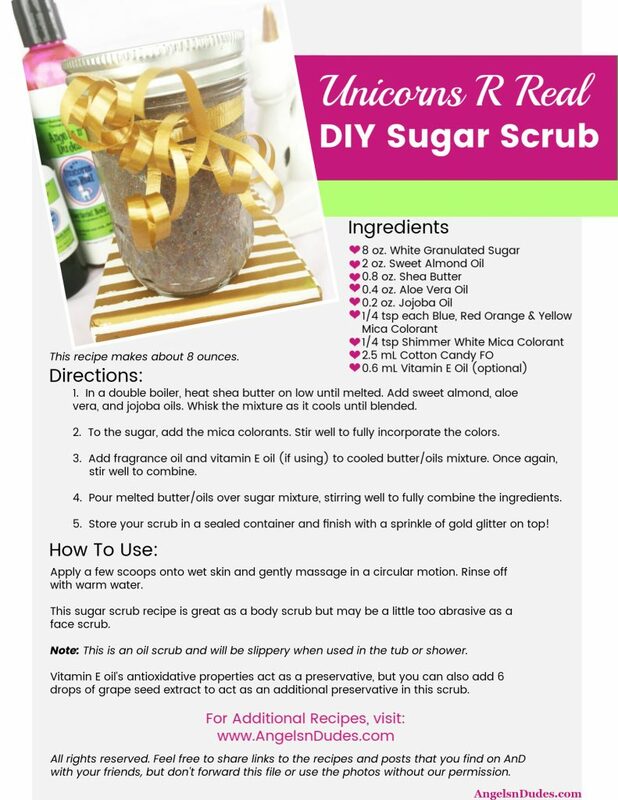 Note: This is an oil scrub and will be slippery when used in the tub or shower. Also, scrubs made with glitter leave a light glittery shimmer on your skin after use. If you do not want the glitter to remain on your skin, wash your skin with soap after using the scrub to get rid of the glitter. 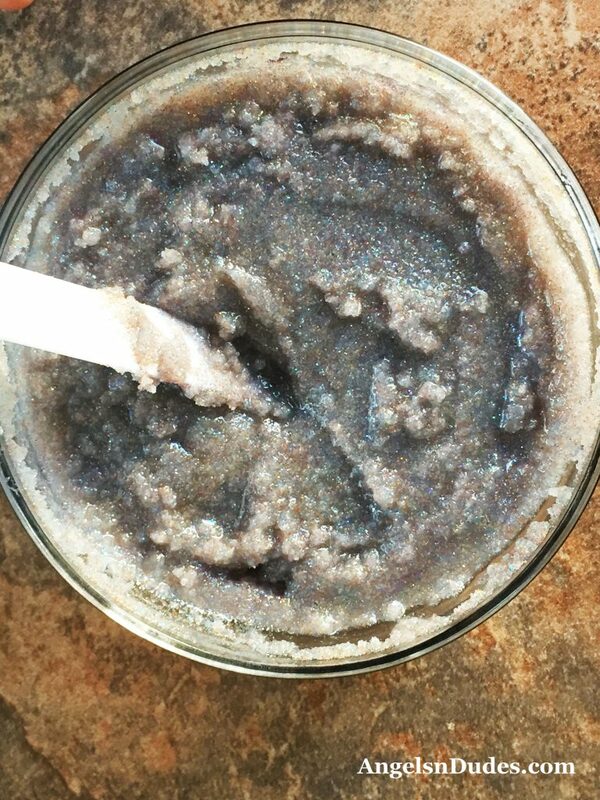 This sparkly unicorn sugar scrub will make a great (and inexpensive!) 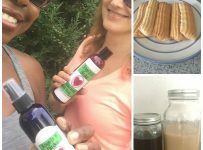 DIY homemade gift idea for friends, family, neighbors, teachers, and more! Perfect for birthdays, Christmas, teacher appreciation, and any occasion that requires something extra special! 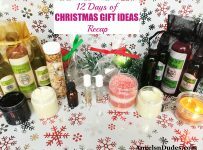 Wanna make it a gift set? Add Unicorns R Real body wash and body spray and put in a pretty gold bag! 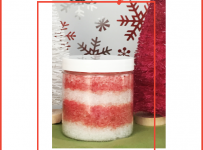 They both have the same scent as this sugar scrub and will make a great gift. What are your favorite handmade gifts to give? 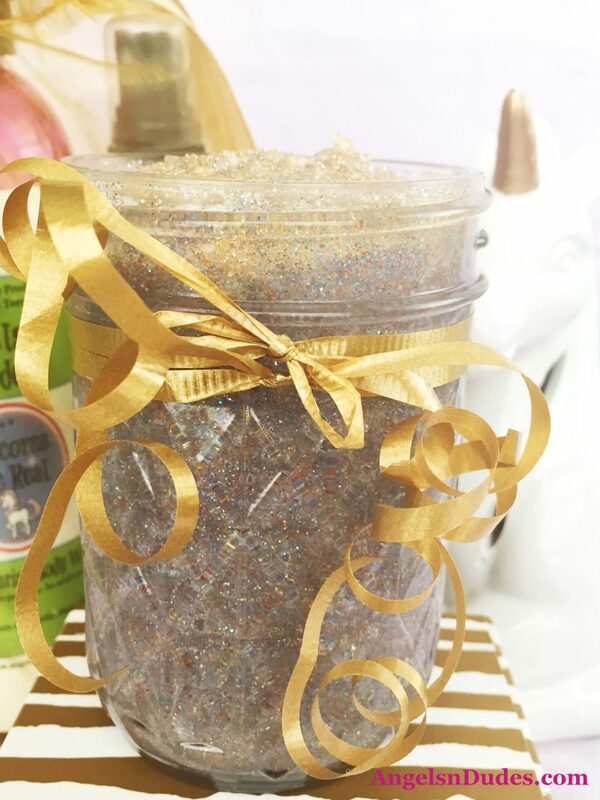 If you like this Unicorns R Real DIY Sugar Scrub, be sure to pin it to your DIY Beauty Board!